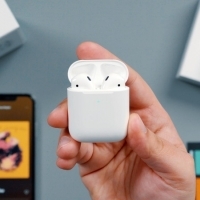 First released in 2016, Apple's AirPods are widely regarded as one of the company's best products in recent years, with the AirPods offering great battery life, portability, simple charging, easy connectivity, and unparalleled Bluetooth range. AirPods are so popular that Apple still has trouble keeping them in stock at times, and two years after launch, it's not uncommon to see an abundance of AirPods out on the street, in movies, in TV shows, and everywhere else you look. If you're new to AirPods, considering buying a pair, or just want to pick up some new tips, this guide is for you. AirPods are Apple's completely wire-free headphones, which look a bit like the Apple EarPods from older devices, but without the cables. 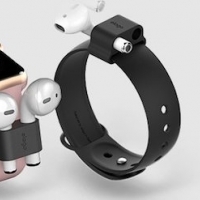 AirPods have Apple-designed tech inside like a special wireless chip called the W1 or H1 (depending on version), an accelerometer for gestures, dual optical sensors, dual beamforming microphones for Siri and phone calls, and a second accelerometer for speech detection. AirPods come with the AirPods Charging Case, which is used for both charging and storage purposes so the AirPods don't get lost. The Charging Case is about the size of a container of dental floss, so it's easily pocketable. A Lightning port at the bottom lets the AirPods and the case be charged with the Lightning cables you already have on hand, and the Wireless Charging Case lets you charge with a Qi wireless charger. How many versions of AirPods are there? 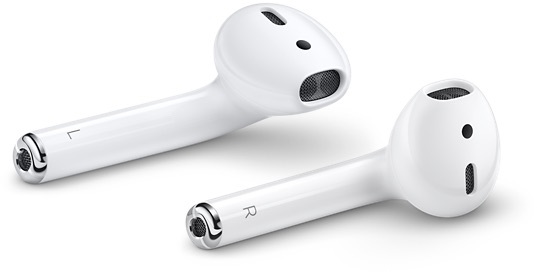 The AirPods were first introduced in December 2016, and were refreshed in March 2019, so there are two versions of the AirPods: the original AirPods and the second-generation AirPods. Confusingly, both versions are called "AirPods," but there are some notable differences between them. The second-generation AirPods, or AirPods 2, have an updated H1 chip instead of a W1 chip. The H1 allows the AirPods to switch between your devices twice as fast, and connecting a phone call is 1.5x faster. The new AirPods have the same general battery life, but three hours of talk time instead of two. You won't see any design differences between AirPods 1 and AirPods 2 because they're identical. AirPods 2 support hands-free "Hey Siri" functionality so you can summon Apple's personal assistant without needing to tap, and most importantly, the new AirPods come with an optional Wireless Charging Case that allows them to be charged with any Qi wireless charging mat. AirPods 2 can be purchased with the Wireless Charging Case for $199, or with the standard case for $159 if you don't need wireless charging capabilities. If you have original AirPods, you can buy a separate Wireless Charging Case for $79 to add wireless charging capabilities. For more detail on the differences between the two versions of the AirPods, make sure to check out our New AirPods vs. Old AirPods guide. One of the best thing about AirPods is how easy they are to set up with an Apple device. All you need to do is unlock your iPhone or iPad, pop open the top of the AirPods Charging Case, hold it near your device, and wait for a popup on your iPhone or iPad's display. Your AirPods are linked to your iCloud account, so once you pair them with one device, your other devices know they exist. 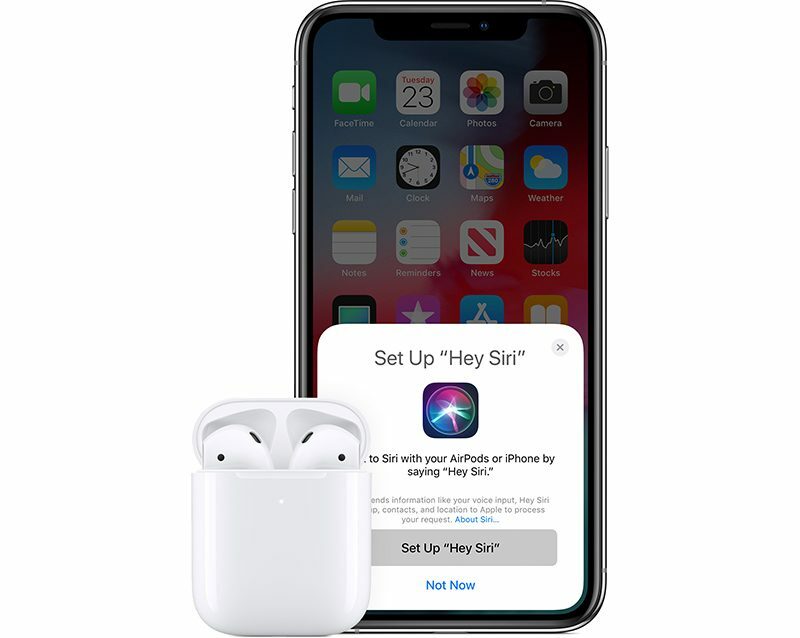 You can switch connections between your devices through the standard Bluetooth settings options, where AirPods will be listed on any device that you're signed into with your iCloud account. AirPods have a number of unique features when used on an Apple device, and they've been designed to work well with all of your Apple products. If you're considering AirPods you'll want to check out this list so you know just what makes them so special. These are all features that other headphone manufacturers have attempted to match, but haven't been able to get quite right in this combination. AirPods continue to be ahead of the competition, and they're almost universally loved by those who have Apple devices. With the above listed iPhone, Apple Watch, iPad, and Mac models, all AirPods features are available. You can pair AirPods with other non-Apple devices, you just won't get to take advantage of all the bells and whistles. If you have the second-generation AirPods and are using the AirPods with an Apple device, you need to have iOS 12.2, watchOS 5.2, or macOS 10.14.4 or later installed. We haven't seen complaints of AirPods falling out of peoples' ears with regular use, but it's worth noting that AirPods are not designed for exercising and can come out with rigorous activity. 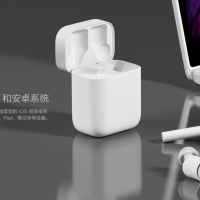 There are quite a few accessories on the market that you can get for your AirPods, including protective cases, cases that add wireless charging, and more. We've listed a handful of the best accessories we've found below. AirSnap from Twelve South ($30) - A handy little leather case for your AirPods, metal clip included for keeping them within reach in a bag. HyperJuice Wireless Adapter ($20) - The HyperJuice snaps onto your AirPods case and lets you charge your AirPods using a Qi wireless charging mat. PowerPod Wireless Charging Case ($30) - Another wireless charging case that's designed to fit over the AirPods Charging Case. Catalyst Waterproof AirPods Case ($25) - This silicone case fits over your AirPods Charging Case and keeps it safe from water or dust. It also includes a carabiner. Airfly from Twelve South ($40) - The Airfly is an adapter that lets you use AirPods where wired headphones would normally be required, such as at gyms or with airplane entertainment systems. Spigen AirPods Strap ($8.99) - If you want to add a cable to your AirPods for some reason, Spigen has you covered with a strap that connects them together. EarBuddyz Ear Hooks ($11.95) - If you want to get some ear hooks to help your AirPods stay in place, EarBuddyz offers a soft silicone option. We've done a couple of comparisons that pit the AirPods against other wire-free headphones. Spoiler: the AirPods are super popular for a reason and are the best wireless headphones we've found for Apple's devices. 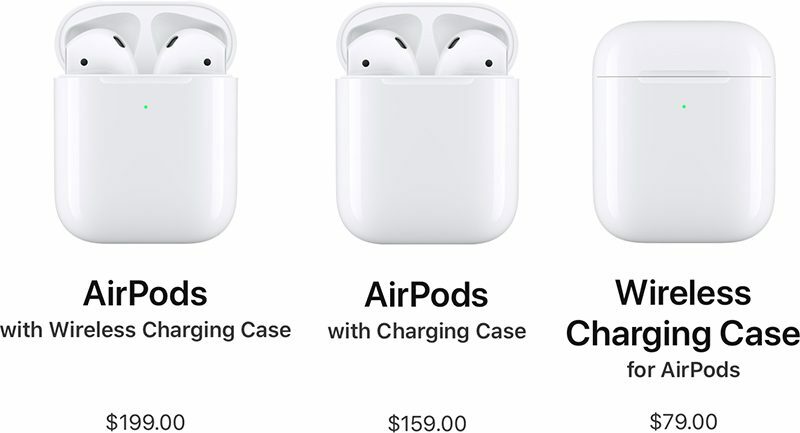 AirPods can be purchased from Apple for $199 to $159, depending on whether or not you choose a Wireless Charging Case, but third-party retailers sometimes have them available at a discounted price. For the best possible deal on AirPods, make sure to check out our AirPods deal guide. Apple is, of course, working on a third-generation version of the AirPods, and you can see all of the details in our AirPods rumor roundup. Rumors suggest we'll be seeing better water resistance, noise canceling technology, a new design, and more, with new AirPods set to launch in late 2019 or early 2020. AirPods - Yay or Nay?